How would you prepare for the coming Hallween 2015 to make this holiday full of spooky fun? Will you watch some movies to get a Halloween touch? Here is good news for all of you! iFastime now officially triggers the Halloween Special Sales Promotion for 2015 Halloween celebrating which will begin at October 21, 2015 and expire on November 6, 2015. All the fans can get iFastime Video Converter Ultimate for Mac and Video Converter Ultimate with 40% OFF during the promotion period. What can 40% OFF iFastime Video Converter Ultimate for Mac do? 1) Rip Halloween Blu-ray, DVD videos to your desired formats, devices and programs optimized file formats without quality loss. Mac OS X El Capitan supported. 2) Turn all SD/HD/2K/4K Halloween movies to seamlessly fit portable devices, video sharing websites or mac editors without further settings. 3) Personalize videos with built-in editing tools. 4) Extract audio from your downloaded or recorded Halloween moments to MP3, WAV, M4A, OGG, FLAC, WMA, etc. for enjoying on Mac/PC. Tips: Refer to this page to learn how to Fix crashing Problems on Mac OS X El Capitan 10.11. Definitely the historically lowest price, catch this very rare opportunity! Wanna more coupons? Please feel free to contact us>> or leave a message at Facebook. How to Make various MP4 videos to Play with iPad? Halloween is coming, everyone must be on the move. What’s the better way to celebrate Halloween 2015? 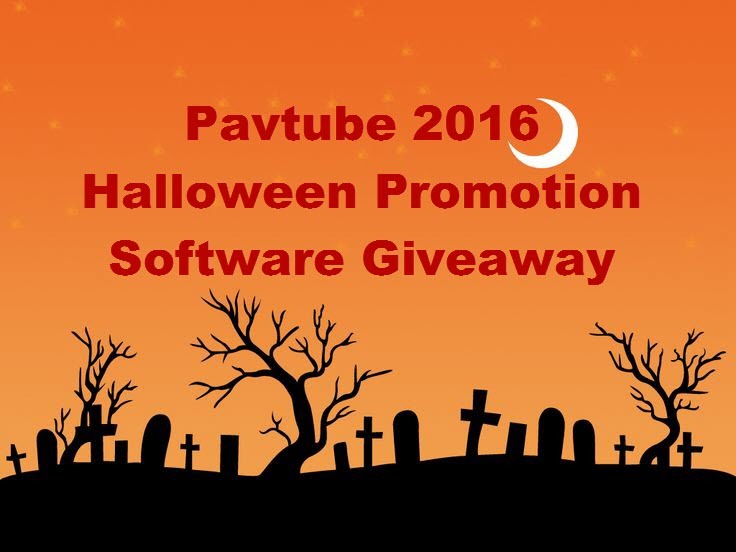 If you are expecting some spooky fun this Halloween, take a look at iFastime 2015 Halloween Promotion. The trusted multimedia solution provider trots out 20% OFF Video Converter Ultimate for Windows and Mac as the gifts to greet the religious holiday. Lasting until Nov, 6, 2015. What iFastime Video Converter Ultimate for Win/Mac can do for you? Make Halloween recordings editable in Avid Media Composer, Premiere Pro, FCP, iMovie, etc. Backup Halloween Blu-ray/DVD discs on Windows 10 and Mac OS X El Capitan. Re-encode Halloween Songs for easy listening. Extract audio from Halloween films for music players. Other 40% OFF Halloween mega-discount: a Trick or a Treat? As another important part of the special offer, iFastime also launches Facebook special offers, at which you can have easy access to bigger 40% OFF price-cut flagships for ifastime video tools for Win/Mac. If you happen to be a hard movie fan and plan to watch Halloween themed movies on this Halloween Day, and quite coincidentally you’re looking for a media converter to help you convert your Halloween movies on your PC or Mac, this 2015 Halloween Promo Code and Special Offer promotion would be what you need. Every customer is able to obtain iFastime Video Converter Ultimate for Windows or Mac each worth $36.76 for no additional cost before Nov, 6, 2015. Never miss! Wanna more coupons for the coming Halloween 2015? Please feel free to contact us>> or leave a message at Facebook. Can Logic Pro play Halloween FLAC, OGG, WMA audio? Video converters have no luck to experience the new Mac OS X El Capitan? The latest OS X 10.11 El Capitan finally lands. Now all Macs capable of running OS X Yosemite can be upgraded to OS X El Capitan free and enjoy lots of cool features that 10.11 El Capitan brings you. However, after the update, some movie collectors are in trouble of transcoding Blu-ray/DVD/Videos on Mac OS X El Capitan since most of current video converting software is seemingly incompatible with Mac OS X El Capitan. Don’t worry. Here I will introduce the new released Pavtube Video Converter Ultimate （ Mac） (version 4.8.6.6), you can get all movie files converted with no sweat at all, even if you are running Mac OS X El Capitan on your computer. It is recommended due to an impressive catalog of video formats, fast converting speed, great output video quality and ease of use. What can we do with iFastime Video Converter Ultimate for Mac version 4.8.6.6? iFastime Video Converter Ultimate for Mac can makes 1:1 copy of original Blu-ray and DVD Disc without quality loss with all audio streams, subtitle tracks, extras, etc and also help you direct copy main movies from Blu-rays/DVDs. It lets you rip latest copy-protected Blu-ray and DVD movies to MP4, M4V, MOV on Mac OS X El Capitan as well as converting them to iPhone/iPad/Android/Windows Phone with possible highest image/audio quality for disc playback on the move. This prominent video converting tool for Mac OS X El Capitan fully supporting you to convert 720P, HD, 4K videos differentiates itself from the pool of video converters. With 200＋ preset profiles for Apple and Android, the best video converter for OS X El Capitan enables you to convert any videos of any resolution to iPhone, iPad, Samsung, HTC, Blackberry, Sony, etc. in a single click. It’s very simple to use, requiring less time to learn the user guide. iFastime Video Converter Ultimate for Mac now sells at $45.95 only. During public holidays and Christmas season, there might also be discounts and coupons available. Anyone who does so will get the same services and features as paying customers. Considering that it is a one-time purchase but lifetime benefit, such price level is worthy of its value. Alongside the official iOS 9 release date, Apple also introduced new price tiers for iCloud storage upgrades. iCloud can help users sync calendar, contacts, music, apps etc. to iCloud and then share contents between iDevices, especially for users who have more than one Apple products. If you have a Blu-ray you have purchased then you cannot technically or legally make a copy of it to keep on your laptop or upload to your iCloud. This restriction is placed by the people who make the Blu-rays to prevent piracy – such as making copies to sell, or indeed making a copy to keep and selling the original; both activities constitute copyright theft. So, is there a legal way to sync Blu-rays to iCloud for viewing and sharing at home or on the road with ease? We believe that the movie manufacturers have the right to keep their intellectual property, but we also believe that consumers have the right to enjoy or backup and rip Blu-ray movies they purchase, especially when they just wanna keep Blu-ray discs from scratching, or manage their movies in a more convenient way. Before uploading Blu-ray contents to iCloud, you need to process Blu-ray to digital conversion. With a fast and easy-to-use Blu-ray to iCloud ripper, you will save your time and effort in establishing a complete and convenient online personal movie theater. Here Pavtube Video Converter Ultimate （ Mac） is highly recommended which can encode Blu-rays iCloud friendly formats like MP4, MOV, M4V. Besides iCloud, it offers a lot of outputs for devices including iPad, iPhone, Samsung Tab, Nexus, Kindle and more so that users can enjoy movies anywhere anytime. If you are a PC user, pls turn to video converter Now, download the software on computer and follow the guide below to start conversion. Step One: After running the software, then click “Load file(s)” button to import the Blu-ray movies that you want to import to iCloud. Step Two: You can either choose MP4, MOV as the output format or select the icon of a iDevice like iPad to get videos with optimized settings in “Format” column. Tip: Go to “Settings” page to set parameters of your output video including audio&video bitrate, video size, codec, frame rate, channel and so on. Step Three: Tap “Start conversion” button to start ripping Blu-ray movie to MOV, MP4, M4V for iCloud on Mac OS X (El Capitan). After conversion, you will get the generated file under “Open” for storing on iCloud. How to Recover Lost iPhone 6S Photos from iCloud Backup? Box make you store, manage and share your files securely in the cloud. Access your content anywhere you might need it: web, tablet or phone. Plus, you can share large files with a simple link and work on projects with your friends, family or colleagues from anywhere. if you downloaded many movies from sharing site, and this movie collection takes up too much space on your computer hard drive, how about transfer these downloaded movies to Box.com Cloud Storage? From this operation, you can save more space on PC to speed up computer running speed and enjoy these downloaded movies via Box on your tablet, smartphone or computer. Of course, I recommend you to transcode these downloaded movies to a normal format video, like MP4, before uploading them to Box. Since main brands smart phones and many media players on PC/tablet have their own specific supported video format, like iPhone only supports MP4, MOV, M4V. So how to upload all downloaded movies to Box with a most compatible format? Pavtube Video Converter Ultimate （ Mac） can help you. This all-in-one video solution can accept all kinds of 4K/SD/HD, even Blu-ray/DVD, ISO, IFO videos and change them to any video format you have seen. It still can output H.265, M3U8 format. For the limit of storage space of Box, you can compress the size of the downloaded movies for Box. Step 1. Download and install the Video Converter Ultimate on PC and click “Add video” button to inset downloaded movies to the app. 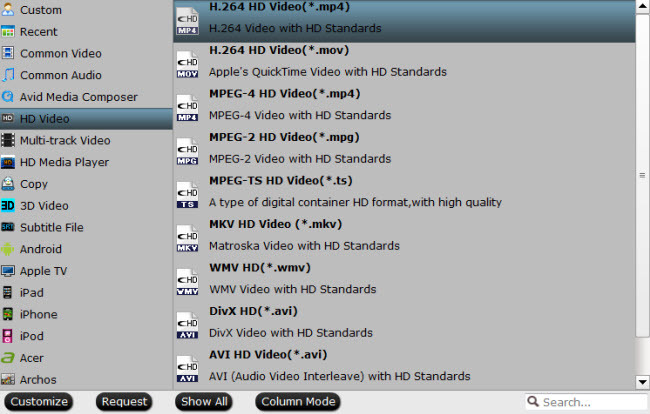 Step 2: Press on “Format”>”Common Video”>”H.264 High Profile Video(*.mp4)”as the output format. Step 3: Hit on “Start Conversion” to start to convert downloaded movies to Box in MP4 format. After the process, just open the output folder to locate the generated videos. Now, just log into your Box account and upload the converted downloaded movies to Box for sharing and watching anywhere through your portable devices or tablet.